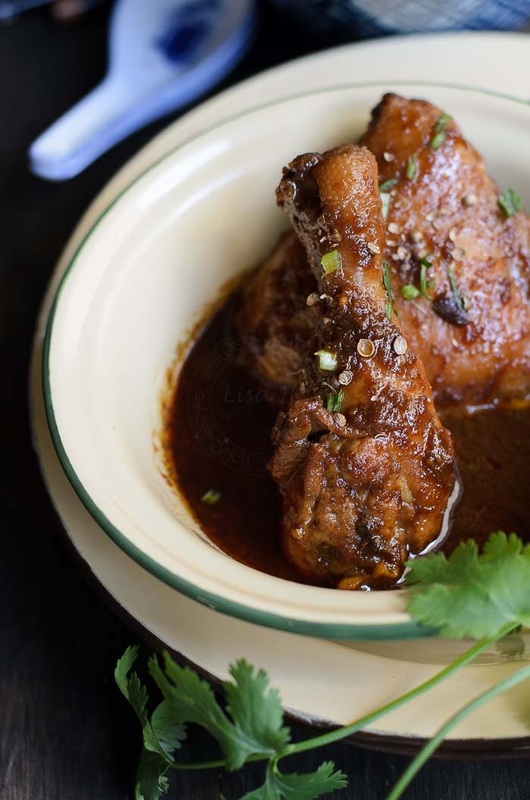 Chicken in Coriander Beanpaste sauce. After the long break plus I am still in festive mood, I find it hard and am struggling to start warming up this virtual kitchen of mine :P.
And cold winter definitely not helping to warm up my hands while punching this keyboard. .... it had been 6 years since. Oh My!!! 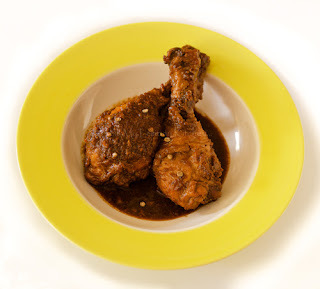 I did a post on this aromatic, delicious chicken cooked in fermented beans and pan fried coriander seeds in 2011. 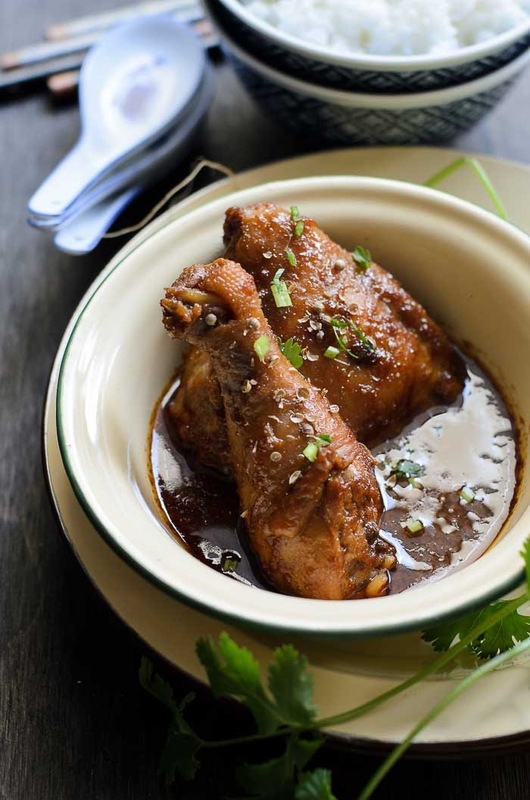 Another name for this dish is Ayam Sioh. Its a Nyonya cuisine (Chinese- Malay flavours). You may be wondering....what is Nyonya? The word "Nyonya" is actually a term of respect used for ladies, like 'madame' or 'maam' for the westerners. Nyonya cooking is basically a fusion of Chinese ingredients (that is why you see soy sauce was used in this dish) with ingredients used in Malay cooking, like coconut milk, galangal, ginger torch flower, tamarind paste, candlenuts and many more. As I mentioned in my previous post, the colour brown or dark brown food, may not be interesting to look at. But if you can imagine every bite you take is just like a burst of fireworks in your mouth... imagine every colours imaginable :D, its delicious. 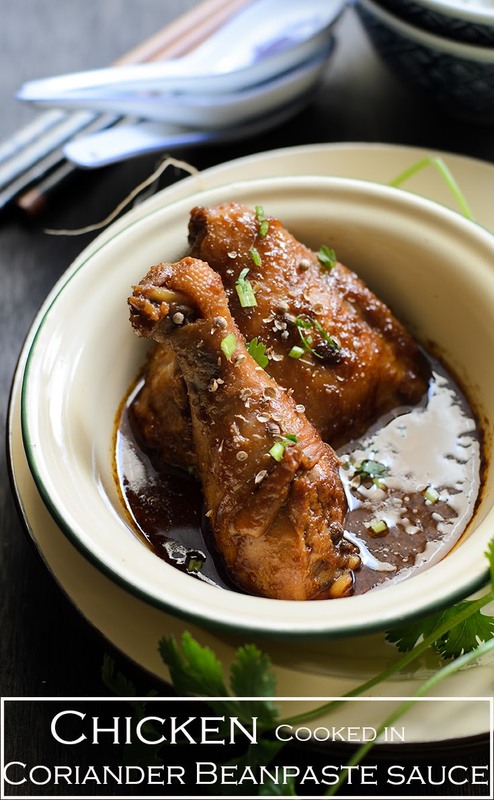 Aromatic Chicken in Coriander and fermented bean paste sauce. Add in the chicken and the bean paste. Add in the grounded coriander, dark soy sauce and tamarind juice. Add about 1/2 cup of water if the sauce is too thick. Cook until gravy thickened and chicken is cooked through.